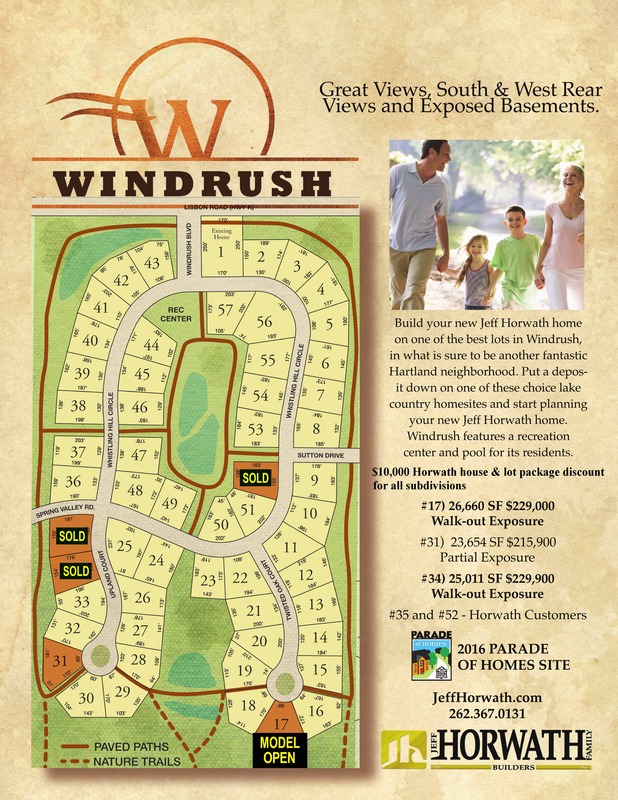 Build your new Jeff Horwath home on one of the best lots in Windrush, in what is sure to be another fantastic Hartland neighborhood. Put a deposit down on one of these choice lake country homesites and start planning your new Jeff Horwath home. Windrush features a recreation center and pool for its residents.